TUESDAY, Jan. 30, 2018 (HealthDay News) — Could the so-called Mediterranean diet boost success of infertility treatment involving in vitro fertilization? Greek researchers report that younger women who followed this heart-healthy eating plan in the six months before trying IVF had better odds of a successful pregnancy than women who didn’t. IVF is the process of fertilization where the egg is combined with sperm outside the body, then is implanted in the uterus. “As more couples worldwide face infertility problems and seek access to assisted reproduction technologies to conceive, it is essential for them to receive counseling on the importance of dietary influences and of adopting a healthy lifestyle,” said study researcher Meropi Kontogianni. Why this style of eating might aid fertility treatment isn’t known, said Kontogianni, an assistant professor of clinical nutrition at Harokopio University in Athens. Perhaps any healthy eating plan would have the same effect, she said. “Our findings, however, provide support that couples undergoing infertility treatment may benefit by adhering to the Mediterranean diet,” Kontogianni said. “This study makes women aware that a healthy lifestyle — including a healthy diet, not smoking, exercising regularly, maintaining a healthy weight and reducing stress — does have an impact on fertility,” said Dr. Tomer Singer of Lenox Hill Hospital in New York City. Based on their previous research, the study authors said a man’s diet is also important for IVF success. Kontogianni cautioned that her study’s findings cannot be generalized to all women trying to become pregnant, or to obese women. Dr. Norbert Gleicher, a fertility specialist in New York City, is critical of the study’s findings. Medical director and chief scientist at the Center for Human Reproduction, he doesn’t think this study reveals anything about the benefit of diet on IVF. “The study design is totally flawed in that patients were assigned to three different IVF treatment protocols, which, by themselves, can be expected to cause different IVF outcomes,” he said. The report was published Jan. 29 in the journal Human Reproduction. 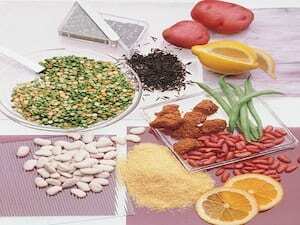 For more on fertility and diet, check out the Academy of Nutrition and Dietetics.